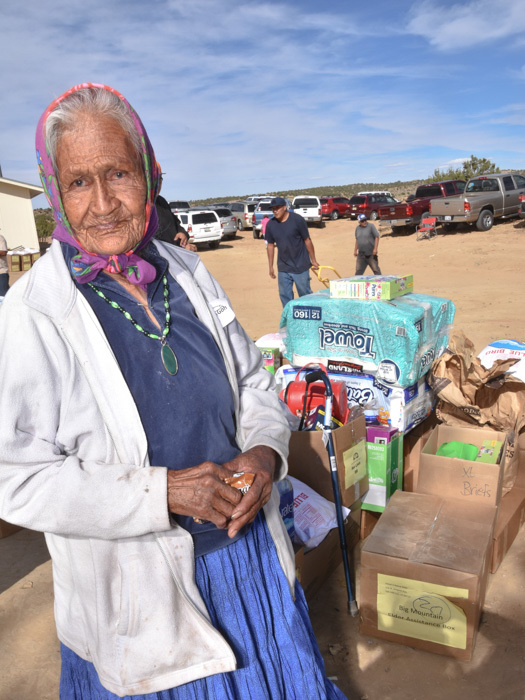 Each spring and fall Adopt-A-Native-Elder delivers boxes of food, clothing and simple medicines to many different areas of the Navajo reservation. 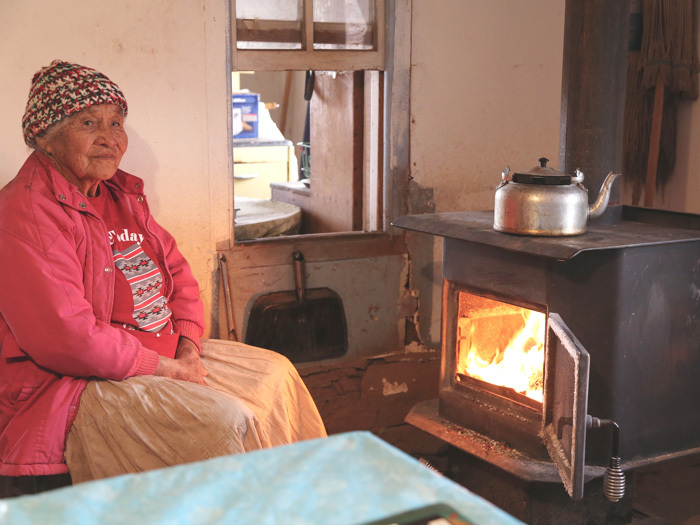 Many Navajo elders live in remote areas of the reservation and depend on donations of food and firewood, especially in winter. 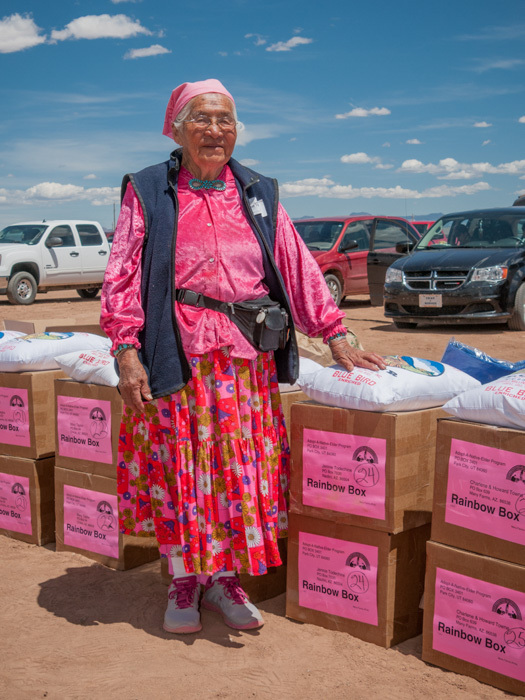 Food boxes and gift certificates dispersed at the semi-annual food runs help to feed elderly Navajo throughout the year. Elders often request donations of firewood which are used for cooking and home heating. "Boilermakers across North America give back to their communities in many ways - by raising money for worthwhile projects and individuals in need, for example. When we learned about the Adopt-A-Native-Elder program, we thought of our Local 4 (Page, Arizona) and Local 627 (Phoenix) members, many of whom are from the Navajo nation. This is a way for us to support the greater Navajo community." Adopt-A-Native-Elder serves elders who practice the cultural and spiritual traditions of the Navajo people. Most live in isolated areas of the reservation, with many still residing in hogans (the traditional home of the Navajo people). 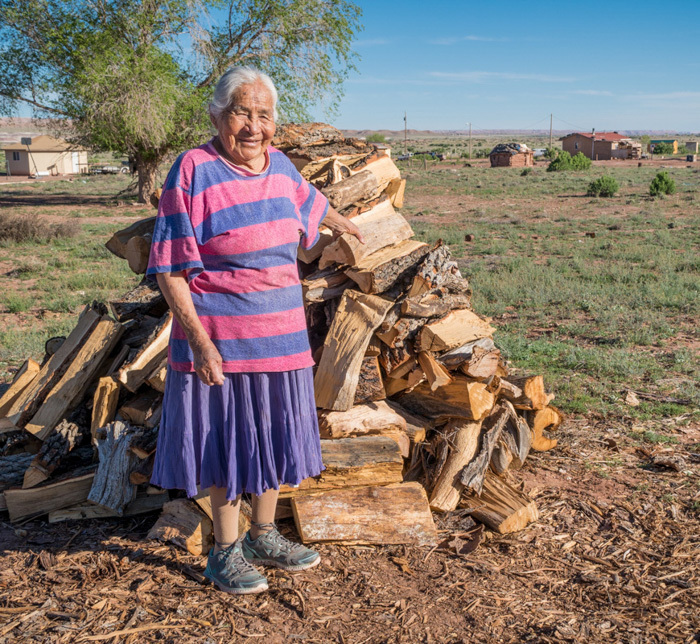 "As the Navajo elders have aged, it's become increasingly difficult for them to support themselves on the land through traditional means," said Adopt-A-Native-Elder Director Linda Myers. "Some raise sheep, weave rugs and create other items as a means of financial support but it's often not enough." For over 30 years, Adopt-A-Native-Elder has filled the gap by providing food, simple medicines, clothing, fabric and yarns to help over 550 elders who live on the land. "We have an opportunity to touch the lives of these traditional people, to hold their hands, listen to their words and show them that despite the many abuses they have suffered, there are people who care for them, people who respect them and their way of life," said Myers. She said donations from the Boilermakers have made a positive impact on the comfort, security, and survival of these men and women. "We are pretty happy to have you as a sponsor. We want to thank you very much for everything. Good food certificates, a check for firewood - all needed. Thank you to all involved." "Ya'at eeh! (Greetings), from the Arizona desert. Thank you for the Bashas' food certificates and my wood money. The food will feed me and I will be warm at the start of the cold season." "Out here in Arizona winter already started. It's cold at night and sometimes in the day. Thank you for all you have done to help with food and wood."